Home Remodeling & Renovations Wichita KS | Milestone Construction Inc.
As a general contractor, Milestone Construction understands the importance of detail and accuracy in your home remodeling project. With the expertise and ability to construct any project, Milestone specializes in room additions, kitchen remodels, bathroom renovations, decks, outdoor living spaces, custom garages, basements, bars, custom cabinetry, entertainment centers, built in shelving and more. If you're looking for a general contractor in Wichita whose experience and craftsmanship are unmatched, contact Milestone Construction today. Whether you're looking to update the inside or outside of your home, we're here to help. 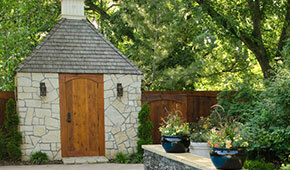 From small outdoor living spaces and room additions to large kitchen and bath improvements, we have the experience and craftsmanship to do it right. Is your bathroom cramped and in need of an update? We can transform your master bathroom into a luxurious place to relax. From complete bathroom remodeling to small updates, we have the tools and know-how to get the job done right. Your kitchen has many uses. Cooking large family dinners, storing dishes and food, that's just the beginning. You deserve a larger space. A few ideas for kitchen renovations include: updated fixtures, walk-in pantries, custom cabinets, new countertops and flooring. 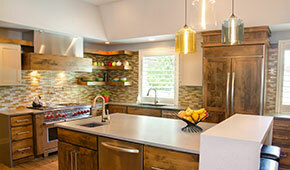 Custom cabinets and shelving may be just what you need for new ideas in storage. We've created cabinets for about every use: kitchen cupboards, above the work bench, cabinetry for your laundry room, and many more. 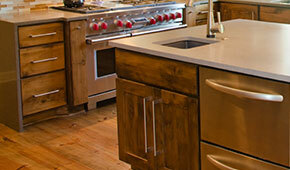 We build them with solid wood and stained to your liking. 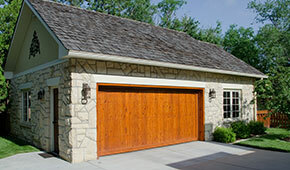 Garages can add additional storage, create covering for antique cars or double as a workshop. Whether you need to extend your existing garage or build a detached garage, we can help make your new space match your existing property. Tired of the kids and guests trampling through your house to change into bathing suits to go swimming? 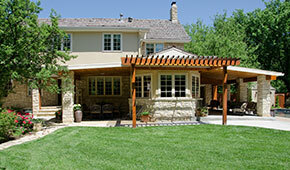 A custom changing house for your pool is perfect for entertaining guests outdoors. We build pool houses big or small to fit your yard, needs and budget. For many people, laundry rooms reside wherever the washer and dryer sit. Trekking clean laundry from one side of the house to the next can be a chore. Your laundry experience can change dramatically. 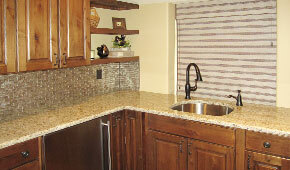 From countertops and cabinets to sinks and storage, we can customize a space perfect for your needs. Sometimes you outgrow your house. If you just had an extra room, things would be so much better. 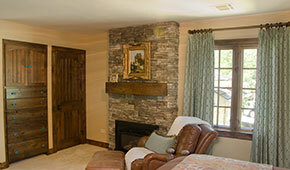 Adding an addition to your house is common and helps increase square footage without the hassle of moving. Additions make great spare rooms, offices, laundry rooms and more. Transforming a spare bedroom to a home office is a great way to get organized when you have to work at home. We understand that peace and quiet, as well as being organized, is essential when creating a functional workspace at home. 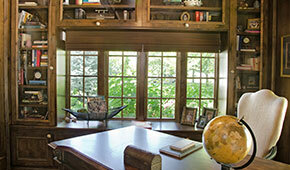 Custom desks, bookshelves - you name, we can build it. 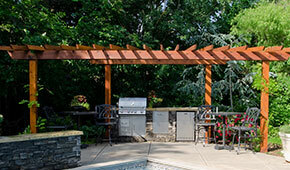 From fire pits and pergolas to outdoor kitchens and wet bars, we want your backyard to be an extension of your house. No matter how big or small of a project you have in mind, we have the expertise and creativity to design an environment you'll love.